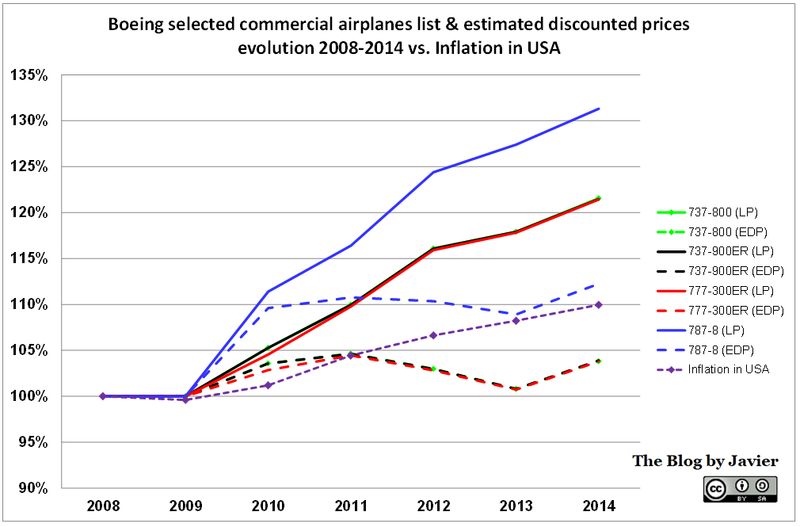 About two years ago I wrote a post in which I analyzed the accuracy of commercial aircraft market forecasts. 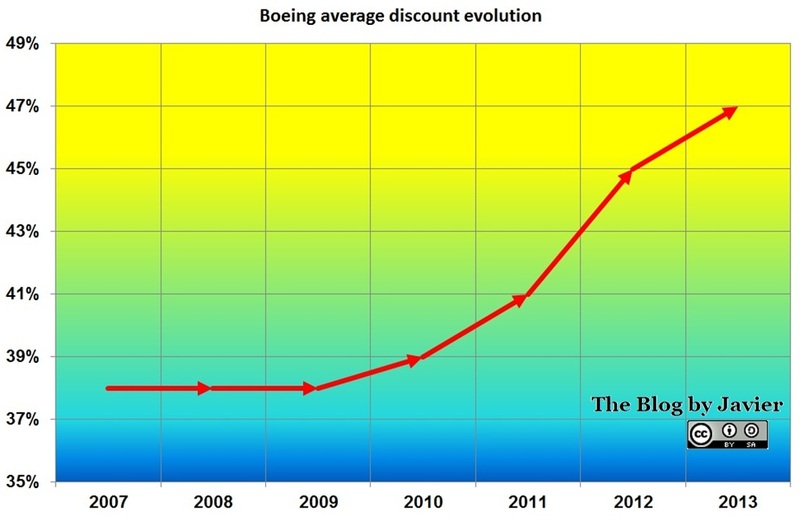 In particular, Boeing’s series of yearly Current Market Outlook (CMO). In that comparison, between the CMOs from 1997 and 2012, we could compare the predicted and the actual world fleets at 2011 year-end. Except for the twin-aisle segment and especially the large aircraft sector, the accuracy was remarkable, as the estimated global fleet only exceeded the actuals in 1%. In this post, I just wanted to provide an update with the figures from the latest CMO (2014), released a few weeks ago, in comparison with 1999’s CMO. 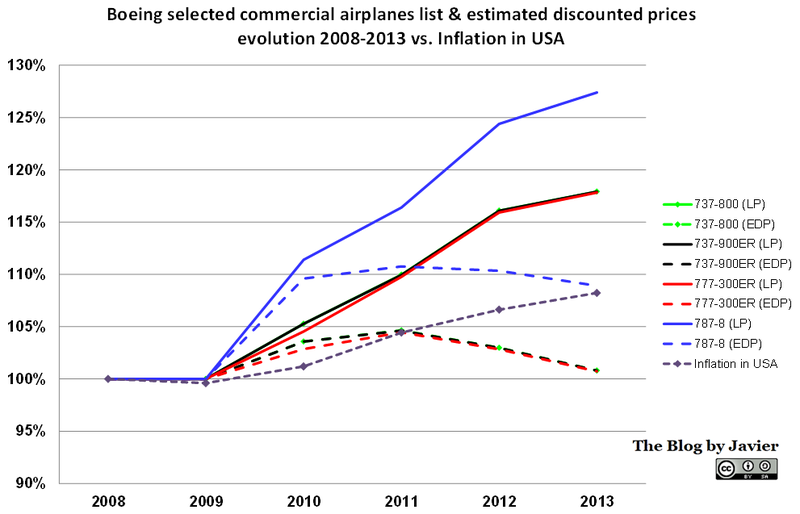 In that CMO from 1999 [PDF, 1.5MB], we find the following chart showing Boeing’s forecasted fleet size and distribution for 2003, 2008, 2013 and 2018 year-ends. 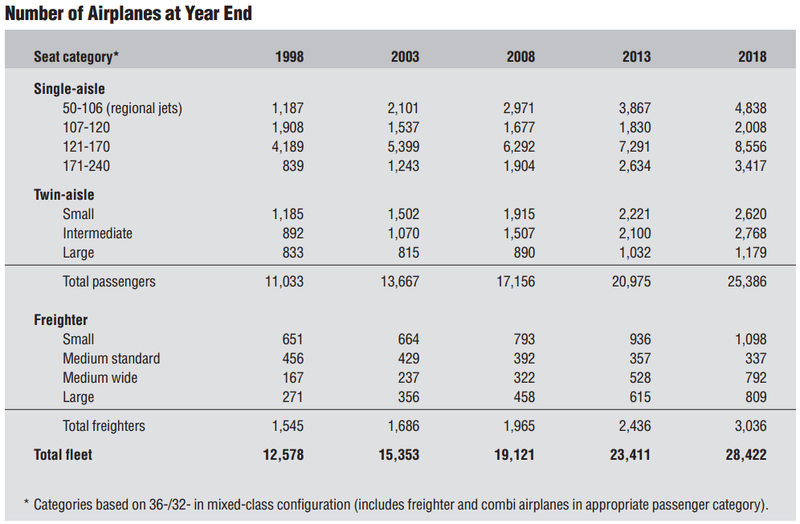 1999 Boeing CMO year-end fleet forecasts for 2003, 2008, 2013 & 2018. 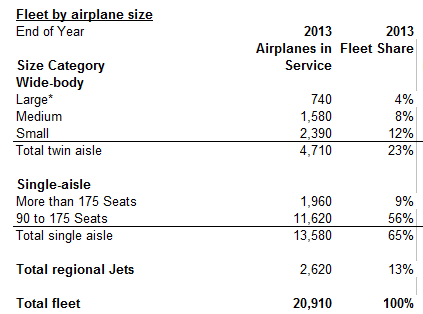 In 2014 CMO, Boeing offered figures of 2013 year-end fleet (1). 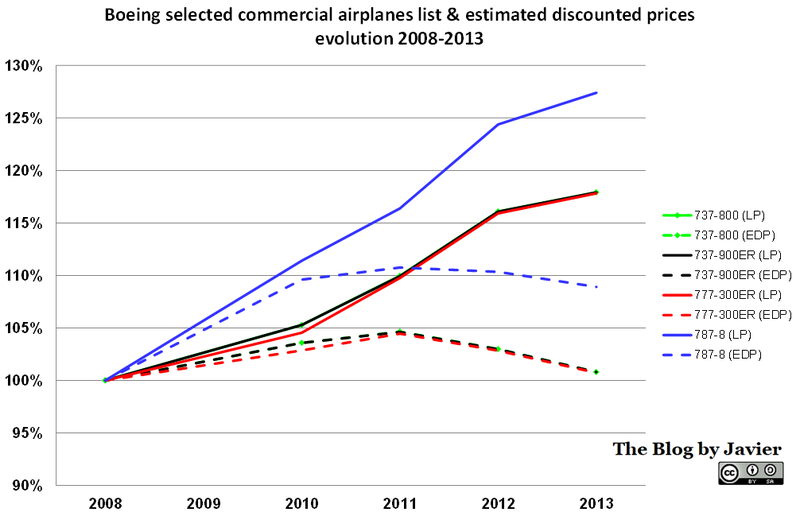 Fleet at year-end 2013 – Boeing 2014 CMO. 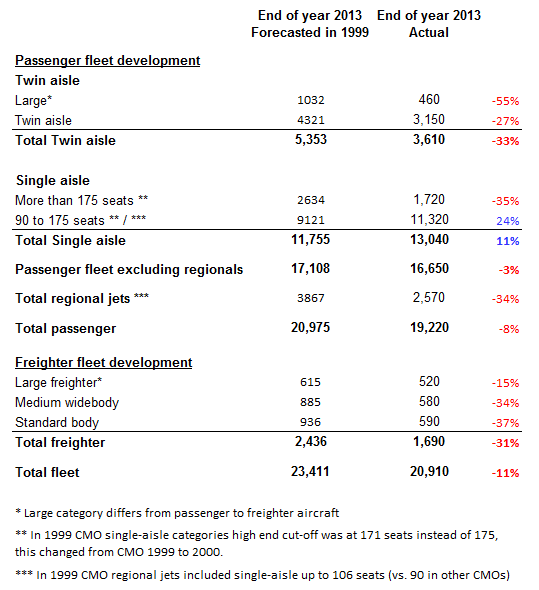 The forecasts for all segment except for single-aisle (737-800) predicted higher numbers of aircraft in the fleet than the actuals have shown 15 years later (2). The total fleet figure was missed by 11%, a larger deviation than the 1% from two years ago. The 737 has been the model outselling the forecasts, offsetting partially the lower demand in all other segments. In particular, even if deviations per segment have been higher, the global forecasted figure for passenger aircraft has been missed by only 3%. The forecast is especially off mark the twin-aisle, where there are over 1,700 less aircraft in the current fleet than forecasted (3). (1) In order to see the detailed split per segment differentiated between passenger and freighter aircraft, until the released of the full CMO, it is needed to use the exploring data tool offered in Boeing’s site. (2) The differences in accuracy between the lower and higher end of the small-aisle segment should not be taken into account, as they are influenced by the different consideration of the cut off number of seats between a CMO and the other. 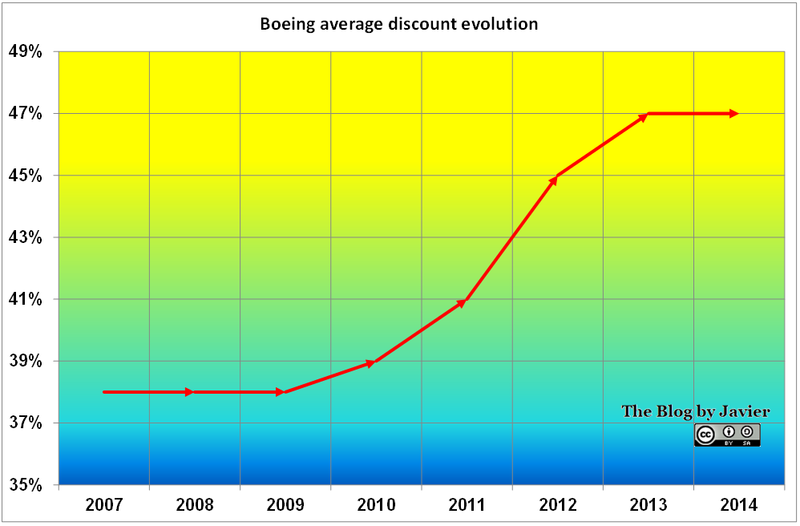 (3) Possibly a reason why Boeing plays down on the 747-8I and A380 segment.